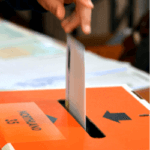 New Zealanders head to the poles for the general election on the 23rd of September to determine the who will gain majority of the 120 seat house of representatives. 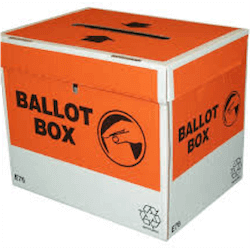 The Party in majority forms the government which means that currently, the National Party and the Labour party are the only two who have any real chances of winning without the formation of a coalition. Up until a month ago, things were all going swimmingly for the National Party; their poles were up and various betting sites had them at a clear advantage. However, in a development no one would have predicted, the Labour party has suddenly swept into the lead according to a recent pole done by a major broadcasting corporation. In three previous poles, the Labour Party was sitting around 39% compared to the National Party’s 41.8%. Last week, the numbers swung with Labour holding the lead at 43% while the National Party dropped to 41%. The reason for the sudden swing has been attributed to one person: Jacinda Ardern. The 37-year-old member of parliament was elected leader of the Labour Party in August and has since boosted the Party’s poles with the press coining the phrase “Jacindamania”. The decision by former party leader Andrew Little to give up leadership before the major election was a move no one had predicted. There has been an underlying desire for change in the country but with Little in charge, the only viable option was to form a coalition between the New Zealand’s First, Greens and the Labour Party. With Jacinda taking over the role of Party leader, suddenly the country is seeing a viable alternative to the National-Led government. The energy and charisma Jacinda is bringing to the floor is something English is not able to deal with. The country seems to be rallying behind the young leader. In a televised debate, the two leaders went head to head on policy issues. While English criticised the Labour Party for having vague policies, Ardern was quick to hit back, pointing out the key issue of rising house prices in New Zealand. While there had been good points on both sides, the public seem to be getting behind Jacinda Arden. If the trend continues, we could be seeing a radical change in government in the next few weeks. 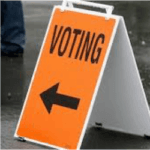 Mania And The Matter Of Advanced Voting Tax and child poverty, climate change and Christchurch’s rising from the ashes. These were just some of the various topics addressed during Thursday’s ….